"CW All Originals Live!" 2012 Release. 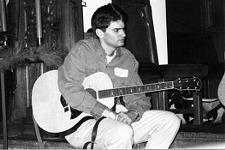 Contains eleven tracks from various venues including my new Christmas song, "The Wonder of it All." **NOTE: This is a "live" CD with only fair audio quality. However, the music is real, live and all original! Enjoy! 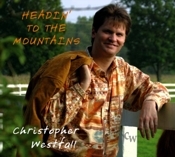 "Headin' to the Mountains" 2007 Release Contains two originals: "Head to the Mountains" and "Alaska." 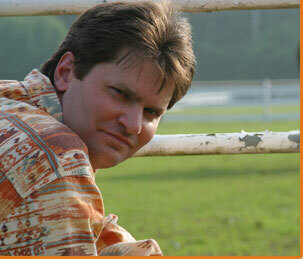 Also, several well known concert covers including "Sweet Baby James," "Leader of the Band" and "Brown Eyed Girl." 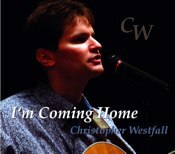 "I'm Coming Home" 2005 Release Contains several originals including "We'll Be There By Morning", "When You Love Someone" and the title track. 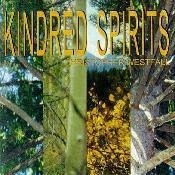 "Kindred Spirits" 1998 Release Tribute album to the late great John Denver. 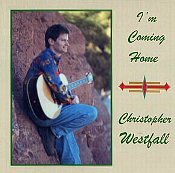 Contains hits such as "Rocky Mountain High" and "Calypso." "I'm Coming Home." Live! 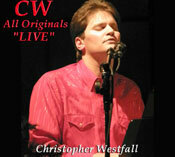 2003 Release Live CD-R from my live performances of concert standards and my originals. Quality is only fair, but the music is real!